MoveOn’s Social Media Experiment: Can Facebook Ads Actually Persuade People to Vote Differently? Can a Facebook ad actually persuade people to go out and vote? MoveOn has designed its own intriguing experiment to see if the advocacy group can maximize persuasiveness through social media advertising. Facebook birthday fundraisers raised $300 million the first year they were offered. What might your nonprofit want to consider when mulling their use? Facebook digs in deeper to a program that provides training and support to local for-profit and nonprofit news sources. This partnership joins the social media giant, academic researchers, and several large foundations in an attempt to radically reshape the state of research on social media, civic engagement, and political participation. With that comes some risk. 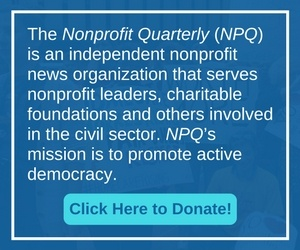 This article from the Nonprofit Quarterly is a treasure trove of examples of how 26 small organizations respond to the challenges and constraints they encounter with their uses of social media for organizing and engagement. Will Facebook’s Latest Algorithm Change Help or Hurt Nonprofits? Nonprofits may get fewer eyeballs, as Facebook, to retard the spread of “fake news,” changes its algorithm to favor posts from friends over those from organizations. Then again, aren’t nonprofits in the friend- and relationship-building business? Maybe our donors and constituents need to build a sense of community with joy at the center—did you ever consider that? Could Someone Shine Some Light on Zuckerberg’s Philanthropy? Most of philanthropy could be likened to striking a match, with a devoted team guarding the fragile flame with their hands. Zuckerberg offers a propane lighter and no one seems to notice. Evidence of the “new CSR” can be seen in the activity around many social issues, including immigrant and LGBT rights, but amid all of that positive activity may be some real downsides. Does the kind of online conversational summary LFDA provides lawmakers provide a step forward? Or, is it an incremental point of information on how to digitally facilitate civic engagement?